Tri-Topia offer Triathlon Training Camp and Cycling Holidays from their base in the Loire Valley and Training Camps in Lanzarote. These camps are ALL-inclusive, fully coached and aimed at triathletes of all levels, from beginners to Elite. Each training program is designed for your individual needs by Tri-Topia’s BTF and IRONMAN certified coaches. Tri-Topia are owned by Hugh and Leanne who began training at this venue in 2014, loved it so much, they decided to buy the award winning company. The training base is located in the Loire valley among the Mille Etang (1,000 lakes) of Brenne National Park. They have 3 readymade training courses available, at one of the best open water training venues in Europe. This is a home away from home venue which is serious on training but big on choice in an idyllic location with excellent on/off-site facilities, and an abundance of outdoor activities. You can expect a friendly welcome, a comfortable bed with en-suite shower room and full board with an experienced chef to provide nutritionally balanced food, all day. 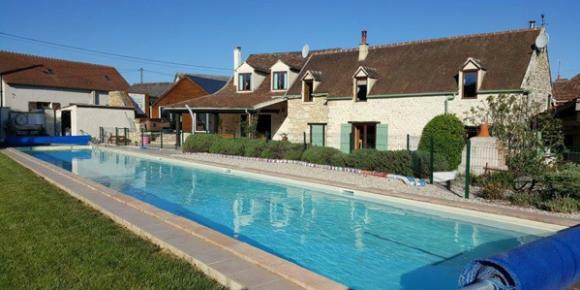 A renovated farmhouse houses the 7 bedrooms (double, twin, single or family rooms), all of which are en-suite. There is also an open kitchen and comfortable lounge with free Wi-Fi and UK TV. Tri-Topia have designed the accommodation layout to allow for spaces where you can chill out between training sessions, either as a group or, if you'd rather some personal time, somewhere for you to read or just doze. The accommodation is on a full board basis. The food is a balanced diet to give you what you need to train, using local produce. Breakfast, Lunch, Dinner and Afternoon Tea (cakes, snacks, hot chocolate, coffees etc) are all provided as well as pre-Dinner aperitifs and nibbles. Your week includes 6, 3 course Dinners with unlimited French wine. Lunch can be taken at the accommodation or you can take your picnic to the lake. One day each week, lunch will be a BBQ or picnic at the lake. The Tri-Topia Lanzarote based triathlon training camps are based in both Costa Teguise and Playa Blanca. Details of the location & accomoodation will appear on each Lanzarote training camp. The region is a paradise for wildlife, with vast open country side, fields and forests, and dotted with quaint villages. 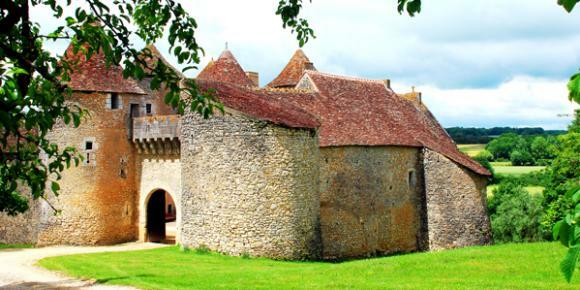 Renowned for its medieval châteaux, the relics of royal days gone by, the area is rich in both history and architecture. Like the river Loire, this vast region runs through the heart of French life. Its sophisticated cities, luxuriant landscape and magnificent food and wine add up to an idyllic paradise. Immerse yourself in French culture! Pool: On site 25m outdoor pool – with water at 28 degree c.
Underwater swim analysis allows you to work with an in house coach to improve your technique and speed. 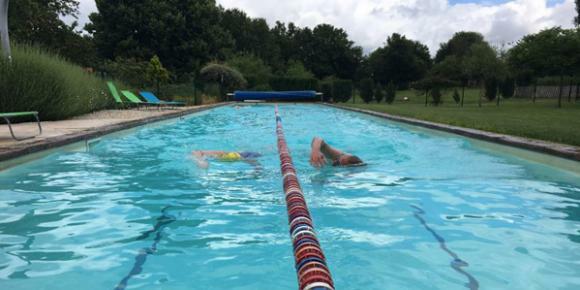 Open Water Swimming: The river L’Anglin is 5’ away, with 250m, 500m, 750m markers. Tri-Topia’s packages include flotation buoys and Kayaks. There will always be some one in the water with you and they choose your Open Water destination according to your ability. There is a slight current on the river and the water is clean. In April you will need a wet suit – but the water temperature reaches highs of 23 degree C in mid-summer. The region, known as “Mille étanges” or “Thousand Lakes” offers many Open Water Swimming opportunities. Undulating roads, lush scenery. Some of the quietest and best kept roads in France. You could cycle 100 km and only see a handful of cars. Accompanied or guided rides are available, with back up cars for the longest rides. Routes can include a 10 mile Time Trial session or a Cappuccino Ride with a café stop for your coffee and cake. Bike Hire is available and the accommodation has a bike storage and maintenance area. There are over 100 km of running routes starting at the door. These are countryside or woodland routes, the wooded areas offering protection from sun in the height of summer. The 400 metre tartan running track at le Blanc track is used for pacing, coaching and more structured sessions. The Gym is well stocked with strength/power building equipment, and coaches are on hand with technical advice so you remain injury free. The 6 person hydrotherapy Jacuzzi or the Sauna are great for tired muscles and a good place to chat. VO2 Testing, Metabolic Testing and underwater filming of your swimming technique are all available. Sports massages are available twice weekly. Daily coaching is included in your weekly training camp package. 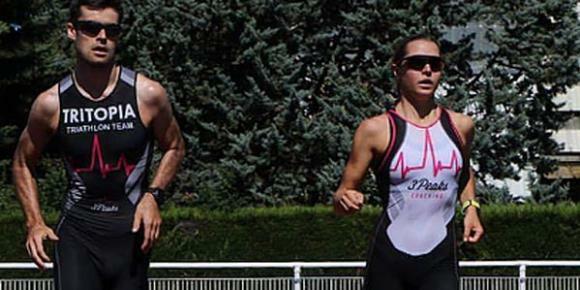 The Tri-Topia's joint owners, Hugh and Leanne, will help with advice on nutrition, pacing and drills during training sessions. Tri-Topia will also use the relaxed evening atmosphere to talk with you and/or the group about race strategies, nutrition, power, heart rate, training secrets and much more …. Leanne Fanoy: Leanne was previously coached by Lee Thomas but is now being coached by Luc Van Lierde. Leanne has completed many 70.3 events, with wins at IM70.3 Vichy and Challenge Half Almere. Comments: Quality training, outstanding food and all in a relaxed environment. Thank you for top week Tri-Topia team. Comments: An outstanding all round experience. Highly professional coaches in a stunning setting. Triathlon coaching with lots of extras, we were able to have sports massages and yoga sessions, bike maintenance tutorials and the food was amazing! We came away with increased confidence and lots of new skills! Excellent value for money! Would highly recommend! Comments: I first went to tri-topia completely unfit and quite a bit overweight from not exercising for 2 years. The guys at tri-topia were fantastic, taught me how to train without wiping myself out, pushed my confidence and I enjoyed every minute of it! Went back the next year to train for my half iron man! Comments: I stayed in May 2017 as a triathlon acativity week. It was 5 days which they were very accommodating with and also arranged my transfer from the local train station for me. He gave me loads of local knowledge too which was great. It truly felt like you were staying at a holiday home, so relaxed and looked after very well. Facilities are brilliant and Leanne the host was great. The cooking, well I can’t say how good it was other than you MUST try it. When possible I would definitely return and 100% recommend to anyone thinking about it. Comments: The best - superb triathlon holidays & a wonderful team.